Small and medium-sized businesses (SMEs) don’t possess the same options as large and multinational corporations when it comes to innovating with IoT technology. They generally do not have sufficient human, financial or development resources to create these new digital and IoT-based solutions by themselves. 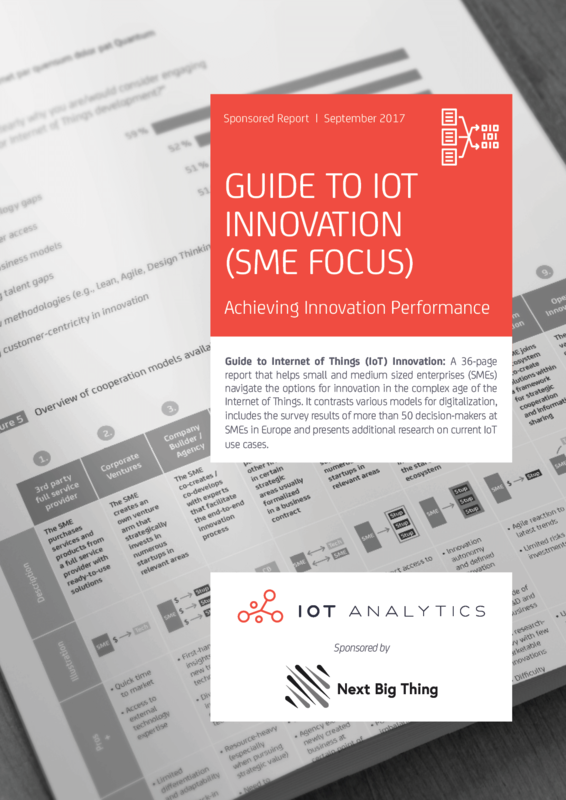 IoT Analytics published a new report called Guide to IoT Innovation, which helps SMEs find a suitable model for digitalization and navigate the options for innovation in the age of the Internet of Things. The report was sponsored by Berlin-based company builder NBT. Included in the paper are the survey results of 50 professionals, who work at SMEs that either already offer IoT-based products and services or are currently in the process of developing these. The results show that, unfortunately, many small and medium sized companies lack a comprehensive vision of where IoT will take them in their industry. Very few firms seem to have a clear concept on how to tackle IoT innovation. The companies that are not completely inactive, often test a variety of models for external innovation. The #1 benefit of such partnerships: Accelerated time to market. 59% of respondents claim that it is the main reason for them to partner in IoT solution development. There is a plethora of choices of external IoT innovation from building corporate ventures to using company builders all the way to accelerators. 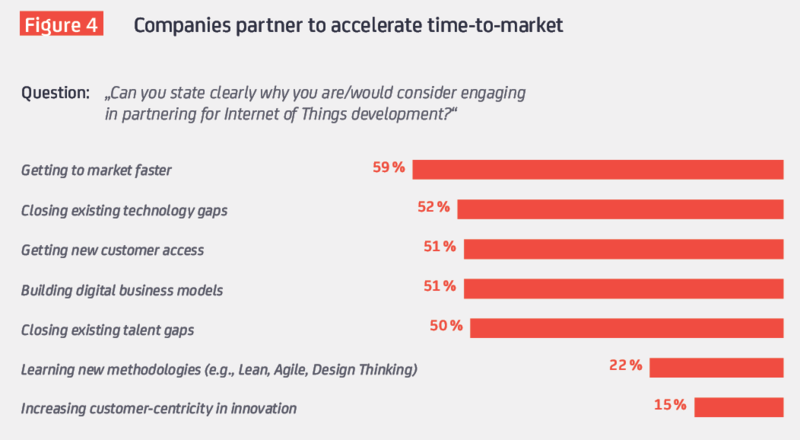 Out of the nine options analyzed in the IoT Innovation Guide, engaging with third party full service providers was highlighted as the most common model (44% of respondents), followed by corporate venturing (36%) and working with company builders (36%). But which of the 9 models appear to be the most successful? The report provides an indication on the success rates of these 9 models and highlights pros and cons as well as real-life IoT innovation examples for each. It furthermore gives recommendations for SMEs that plan to innovate in IoT. The report is available for FREE, thanks to the paper sponsor.